ASTANA – More than 850,000 people visited the Shchuchinsk-Burabai resort zone in 2017, reported Akmola Region Akim (Governor) Malik Murzalin at an Aug. 25 press conference in the oblast. This figure is expected to increase by 20,000 people this year. “I met with hotel and restaurant owners in the tourist area. They agreed that the number of tourists increased. 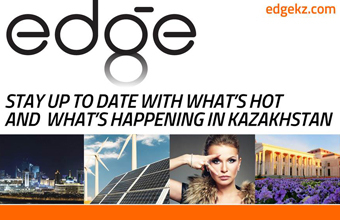 They focus mainly on visitors from Astana and tourists from Russia. Due to the efforts of the government with visa regulations, the number of tourists from China and India is also increasing,” he said. A new district with an area of 14 hectares will be constructed in Burabai Village. The main streets of the zone have already been rebuilt, two alleys connecting to the beach area of Lake Burabai have been completed and a project on separating waste collection is being implemented. The visitors’ centre has also been renovated. It has a local history museum, a nature museum, a zoo and a souvenir shop. Tourists can pick up a free card and use the information terminal. “We plan to change a zoo into a safari park and take it out of the village,” said the governor. British investors intend to build an indoor water park worth 200 million tenge (US$549,810) in the Burabai area. The project will be completed by June 2019. “Everyone wanted to build an outdoor water park. But it is important for us to use the facility year-round,” he added. Private investors supported the reconstruction of the Shchuchinski sanatorium to the tune of 1 billion tenge (US$2 million). A hotel featuring 76 rooms in the Blue Bay Gulf will be completed soon, and construction on a new building for the Zhekebatyr sanatorium worth 1.5 billion tenge (US$4 million) has also started. Some sports and recreation centres, family hotels and a water park and ski arena on an area of 233 hectares will be built near Bolektau Mountain. Work is currently underway on its engineering infrastructure. A cottage community will be built near Shchuchye Lake and next to the Rixos Burabai hotel. A new route from the village to the lake will be set up in the near future. Hotels, restaurants and entertainment venues will be set up along the road. Initiated by the Ministry of Culture and Sports, a new multifunctional cultural centre aims to become a major attraction. 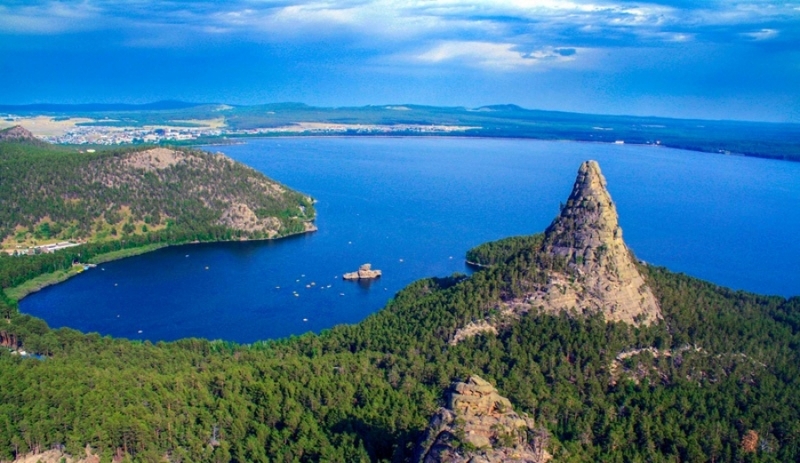 The plans also include the construction of a horse-riding complex on Akylbai Lake and a ski resort on the northern slope of Kokshetau Mountain. Murzalin called the Burabai CityPASS project one of the most successful, noting that it can save tourists up to 50 percent at local restaurants, hotels and museums and on entrance fees for cultural sites and excursions. The Burabai CityPASS includes a tourist card; a plastic smart card; a guidebook in Kazakh, Russian and English; CityPASS maps; and a Beeline sim card. The package provides discounts up to 30 percent. The tourism sphere of the region includes more than 700 enterprises, and the area’s business road map envisions another 119 events or entities on seven main themes to continue development of the sector. The number of hotels around Burabai has increased more than five-fold.